As “parents” to three chihuahuas, we’re always on the hunt for dog friendly restaurants. 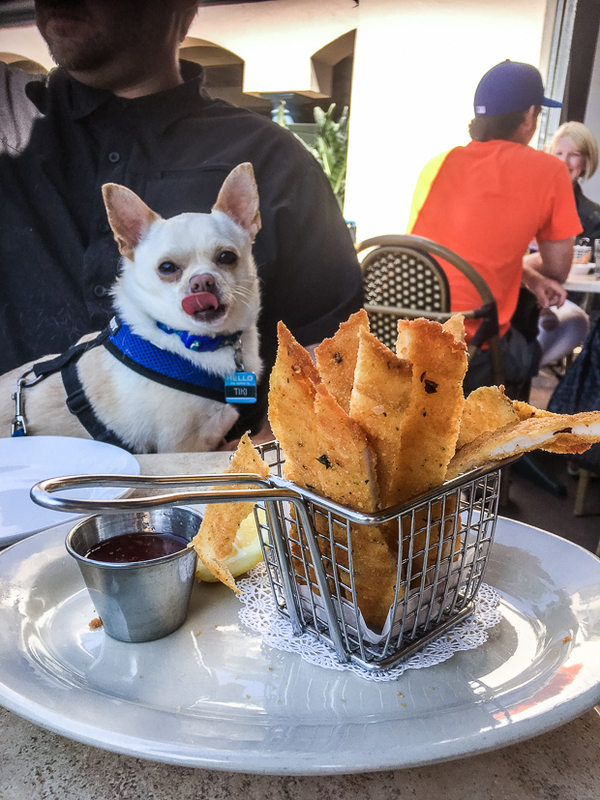 We’re lucky that San Diego is very pup friendly, but it can be challenging to find a restaurant that checks all our boxes – dog friendly (of course), has a nice view and wicked good food. 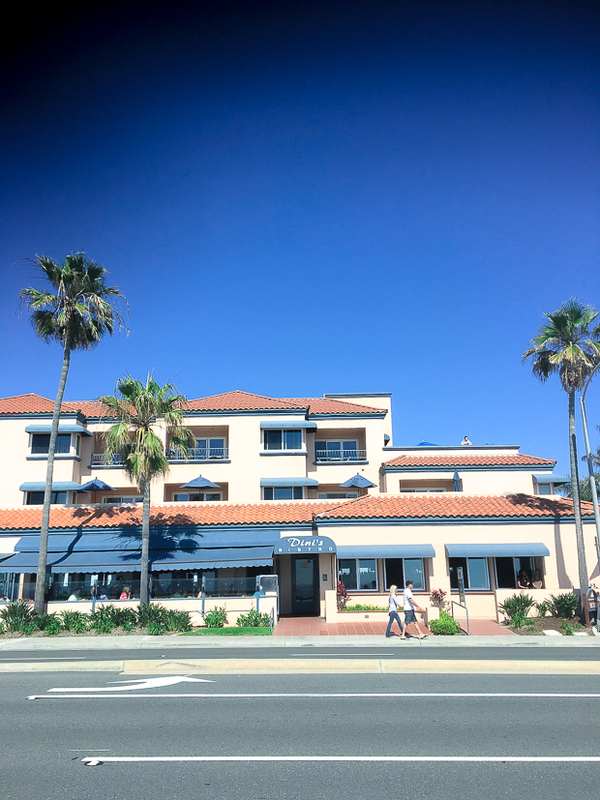 Dini’s By The Sea at Tamarack Beach Resort meets all those criteria and is one of our go-to faves. 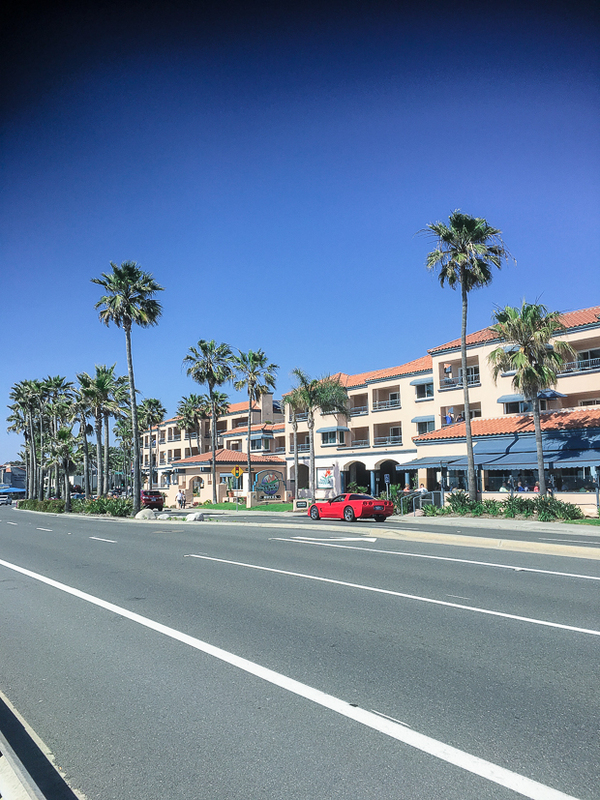 Dini’s is adjacted to Tamarack Beach Resort in Carlsbad, right across the street from Tamarack Beach. 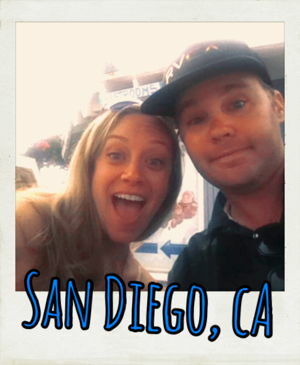 There are only a few restaurants in Carlsbad that have an ocean view and Dini’s is one of those with prime real estate. We love the atmosphere here – maybe it’s the fact that it’s attached to a hotel, but it always makes us feel like we’re on vacation – casual, beachy vibes + an awesome view of the ocean. Dogs are welcome on the outdoor patio – there’s street and foot traffic that passes by the patio, but it makes it a fun and lively place to kick back and enjoy a meal. We usually like to visit Dini’s at sunset (talk about views!) or for a mid-week lunch. The restaurant and bar can get pretty crowded on the weekends, but we’ve been there on weekdays for lunch when we’ve had an almost-private dining experience. They also have a great Happy Hour if you’re looking to enjoy a beachside meal without having to break the bank, or just want to enjoy sunset drinks. We kicked off our lunch with some calamari…always one of our favorite appetizers. At $14, it was a little pricey for the amount served, but it sure was delish…and our pup Tiki approved. 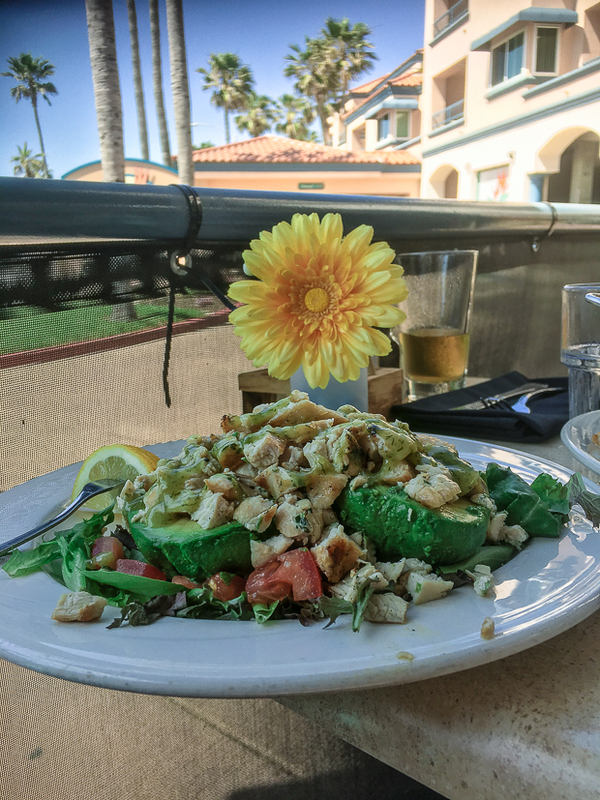 For lunch, I ordered the Stuffed Avocado with Chicken – always one of my top dishes . Todd ordered the Lobster Burger, which is his must-have dish at Dini’s. It’s one of the most popular items on the menu and is always a hit with friends and family we bring to the restaurant. We were pleasantly surprised the first time we ordered this and it was delivered with a decent amount of lobster on top. Doesn’t this look good??? I may or may not have stolen half of Todd’s burger. Actually, he offered me half and then asked for it back – haha. Can’t say I wouldn’t do the same thing though because it is SO good. 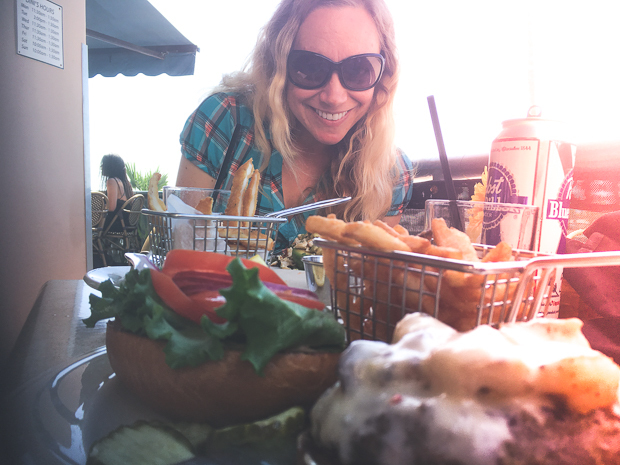 I think I’ll have to order the Lobster Burger next time and throw my healthy eating to the seagulls because this dish is just too good to pass up. 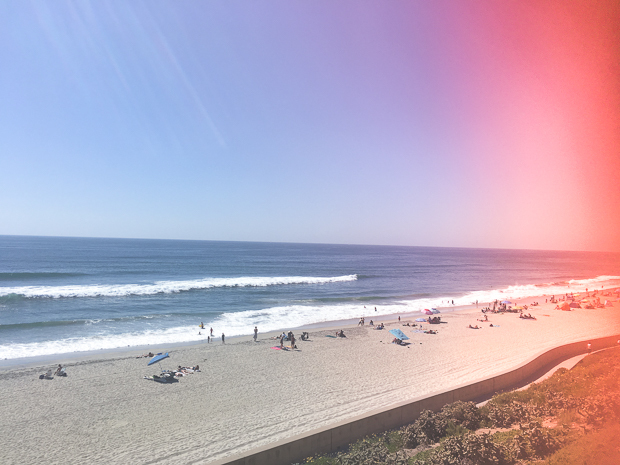 We love that Dini’s is right across the street from the beach – after our meal, we took Tiki for a walk on the beach path – the Carlsbad Seawall path is actually 4 miles long, but Tiki’s little legs can only carry him so far, so we usually just do a quick walk. 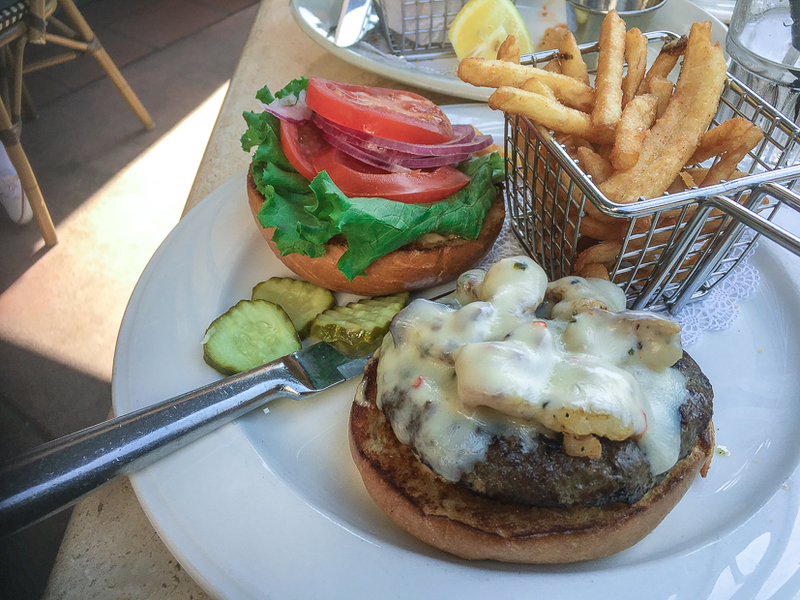 Dini’s continues to be one of our favorite restaurants in Carlsbad and we’re already dreaming about our next Lobster Burger. 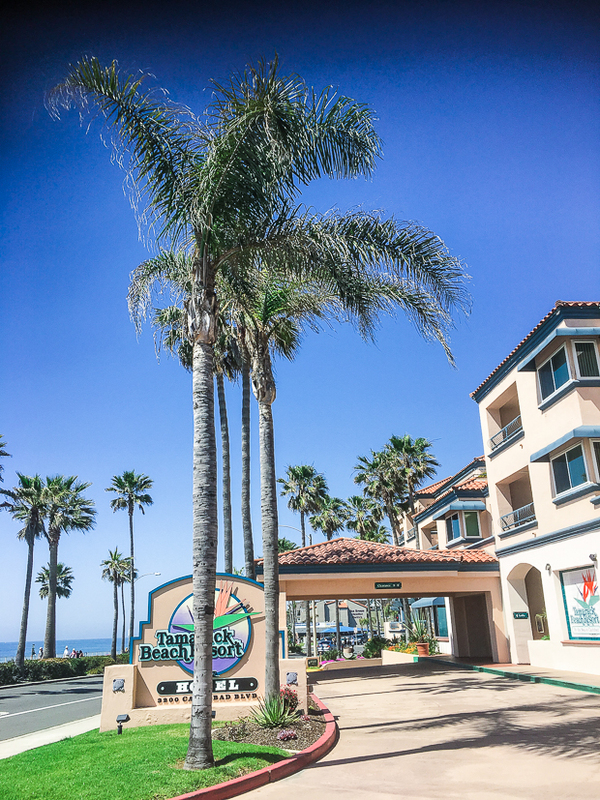 😉 It would even be fun to do a staycation at the Tamarack Beach Resort sometime – and it’s also a great place for friends/family to stay who are visiting San Diego from out of the area. Check out the nightly room rates here if you’re curious. Which would you order? The Lobster Burger or the Stuffed Avocado?? ?